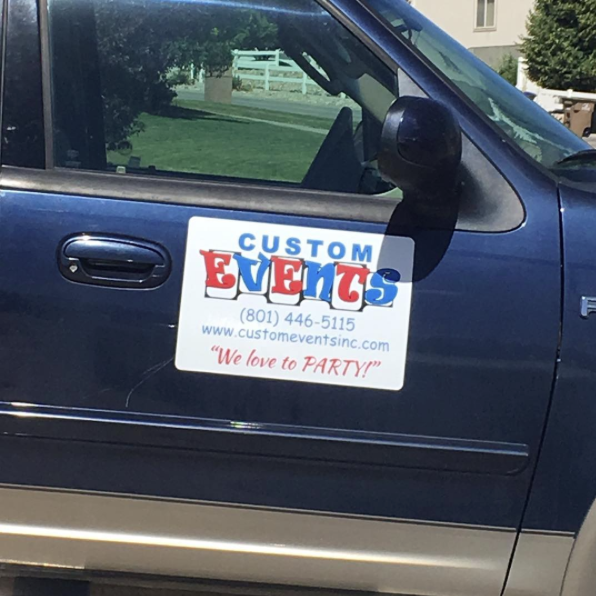 I was able to help Custom Events Inc with some magnetic signs for their vehicles. These removable and re-positionable magnetic signs are the perfect solution for switching advertising from vehicle to vehicle in your business! If you're in the market this summer for inflatable fun (rides, slides, bounce houses and water attractions) or even rock walls and casino tables, you need to check this company out! They are awesome to work with and have so many options for birthday parties, work parties and more! See everything they have to offer at www.customeventsinc.com.